Welcome to #AMonthofFaves [The 2018 Edition] hosted by Girlxoxo, Traveling with T and Estella’s Revenge. Today we’re sharing our holiday wishlist. 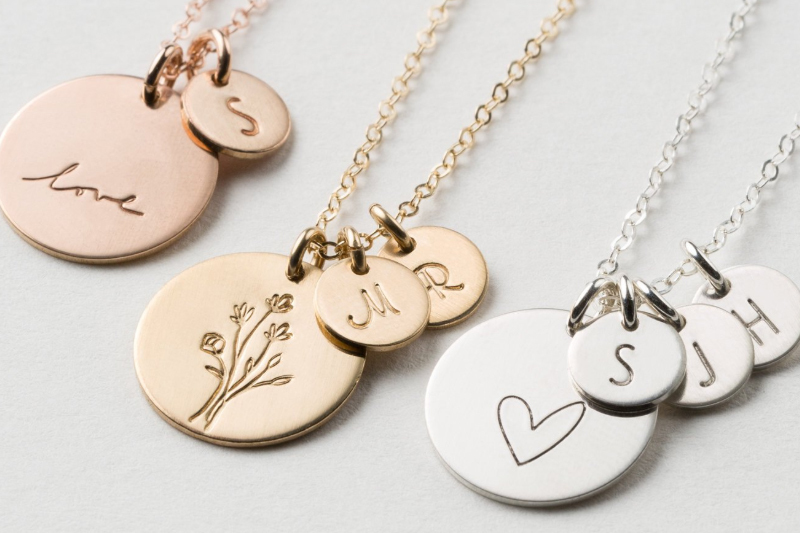 + GLDNxLayeredAndLong Disc Initial Necklace – I’ve wanted a disc necklace with my kids initials on it for so long. I should just bite the bullet and sneak one into my stocking this year. I really love how many pretty options there are through this Etsy shop. + Clothing Patterns – I’ve resurrected my love for sewing and now I can’t get enough of all the patterns. I recently purchased a super simple sweatshirt pattern with plans to change it up in several different ways. First up- add ruffles to the front shoulder seams and maybe next draft I’ll add elbow patches. + The Ordinary Skin Regime – I’ve been hearing the most amazing reviews about these facial products from people I really trust. It’s my goal to get my skin care regime nailed down in 2019. + A “Motor” Scooter … at 6?! + 100 LOL Under Wrap … she was into LOL dolls 2 years ago too. What are you wishing for this Christmas? If you’re participating in #AMonthofFaves [The 2018 Edition] link up to your blog post (or Instagram picture) below. Kim, congrats on the basement! I hope y’all enjoy your new space! Tanya Patrice, I LOLed at your niece’s list. I love kids’ lists. My son’s was a hoot. Kim — it’s been so fun to watch your basement progress on Instagram. I’m so happy you got it finished so you can enjoy it this season! What a great list for a little girl. I hope she gets them all! My Christmas wish list has “to live on an island in the Caribbean” on it!